We as the children of God should first approach Him with adoration, acknowledging who He is and praising Him for His character and perfect nature. Such pure heartfelt adoration brings a sense of spiritual & physical awareness on our part, of our own sin(s). Which should then lead us into a time of confession and/or acknowledgement (of our sin before God) thus agreeing with Him that daily we fall short of His holy standards. Confessing our sins reminds us of Christ’s sacrifice on our behalf and God’s many blessings in and over our lives. YADAH– ידה yah-dah – to worship with the extended hand. The giving of oneself in worship and adoration. To lift hands toward God. TEHILLAH – תהילה the-hil-lah- to praise. Noun form of Hallel. A spontaneous new song. Singing from a melody in your heart by adding words to it. This refers to a special kind of singing-it is singing unprepared, unrehearsed songs. It is the praise that God inhabits (sits enthroned on)(Psalm 22:3) God manifests God’s self in the midst of exuberant singing. BARAKH – ברך bah-rakh – To kneel or to bow. The noun is Brakha. To give reverence to God as an act of blessing. It implies to continual conscious giving place to God. Blessing the Lord, extolling virtue. There is a sense of kneeling and blessing God as an act of adoration in the word BARAKH. 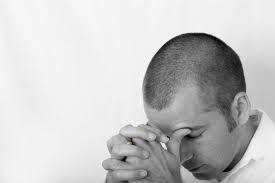 Physical application – To bow, kneel or to do this with the intent in my heart that God is my ruler and I yield to God. I am acknowledging God as Ruler. SONG: BLESS THE ETERNAL. Scripture: Psalm 103 tells us how to bless the Eternal and then goes on to enumerate those blessings: loving kindness, satisfaction redemption, honor, renewal. We bless the Eternal by remembering all of these things. HALLEL – הלל to be clear; to shine; to make a show, to boast; to rave; to celebrate. HODEE’AH– הודיע hoh-Dee-ah -To Thank. The noun is Todah. This word is commonly found in connection with sacrifices-applying the giving of thanks or praise as a sacrifice before reception or manifestation. Thanking God for something. Agreeing with God’s Word. As we raise our hearts and hands in praise to the Eternal, it involves a sacrifice, especially if one is very sick in body. The carnal mind would fight and ridicule this particular action, but there is great faith in TODAH as praise. The ATTITUDE for TODAH is: I’m thanking God. ZAMAR – זמר zah-mar – To sing (sometimes with instruments). One of the musical verbs for praise in the book of psalms. 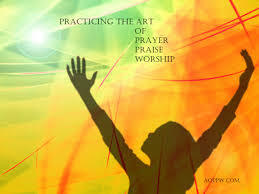 It carries the idea of making music in praise to God as in Psalm 92:1. The word ZAMAR also means to touch the strings, and refers to praise that involves instrumental worship as in Psalm 150. The one word is usually translated “sing praises”. SHABACH – שבח shah-bakh – (Or heeshtabach), השתבח to worship in a loud tone, a loud adoration, a shout! The phrase “shout unto the Lord” can be understood as the action of SHABACH. It is not just being loud. You should have the attitude of putting your whole being into it, an attitude of being totally uninhibited. NIGGUN – ניגון nee-GOON. A Jewish melody including humming or nonsense words that can be interpreted as a prayer without words, or an offering of music to God. Our overall picture of this intimate time with God should exemplify John: 4:24, New Living Translation, “For God is Spirit, so those who worship Him must worship in spirit (led by His Spirit) and in truth (confirmed by His Word). Scripture confirms that with prayer, supplication and thanksgiving, we should” make our requests known unto God. In making our requests known, be sure – believe that He provides an answer to each and every one of those requests. I believe that His answers are, “Yes,” sometimes “No,” and other times “Wait.” But we can be assured that when we passionately cry out to our Father in faith, He hears us. I pray that you have not only read through the Hebrew names of types of praises to God but that you will engage them each and every time you enter into an Atmosphere of Prayer – Praise – Worship.